Mikrotik Voucher Template ! | Syed Jahanzaib Personal Blog to Share Knowledge ! If you are using RM, then you need to follow this guide. RM have builtin Voucher/Card templates which create pre-paid /Refill Cards very nicely in printable format. See the following examples. Sir i Need to andother customer with parent=owner on single machine because i need the seperate operators with their personal clients and sir i am using 3.22 version please kindly help me in that i try to put router with 127.0.0.2 loop back adress but not worked. kindly help me please. 3.22 is cracked version, and there is no support for Illegal Cracked Version. Sir i Have rb750 router with 5.8 routeros installed but its hanged sometime. and i dont have credit card and much money to get the license so kindly please tell me how to do irt in 3.22 and one of my freind is done that thing in 3.22. RB750 sometimes HANGs if you put load on it. It is not designed for heavy usage. sir i thing u didn’t get me my 3.22 version’s user manager is working fine just need to add another subcriber with permission owner. So kindly tell me the way to add another customer subscriber plzzzzz. my freind is done that thing but he is not showing me and telling me his skills. Sir Kindly Help Me in That otherwise i will thing that u can’t do that. DON’T ASK SUPPORT FOR CRACKED VERSION AGAIN. Use googel instead. 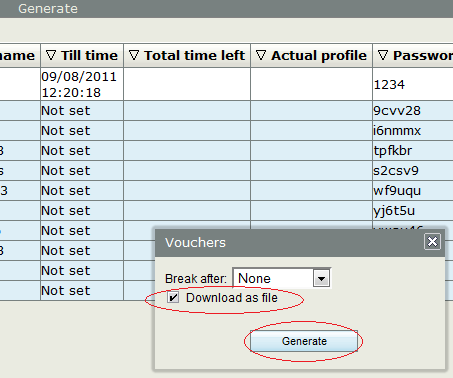 You can add Dealer / Subscriber Either Via command OR using User Manager GUI. Or via GUI , first login to user manager by admin ID. Here you can add your desired Dealer ID and assign him appropriate permissions. zaib bhai i can make the deal subscriber but the problem is radius is not working on the same ip 127.0.0.1 shared 1234 i also tried on another subscriber add router ip 127.0.0.2 shared 123456 but radius is not working. and one more thing if i disable one of the radius then 2nd will automatically working but i need to both in working. did u get me? please tell. You are confusing with the radius. Read the Wiki for more info on User Manager to understand the logic of subscriber. so i need to both working with each other is that possible.? i know it is possible because one of my freind is done that but i just know that he done that by ip address not with loop back addresses. only one router is working with the radius. i need to add multiple routers on one radius machine and on one usermanager with multiple subscriber with permission owner because in that case the subscriber will not interfere with another subscribers users and his passwords and limit packages.Is that possible in router os 3.22 version.? please kindly help me in that. lot of thanks in advance. 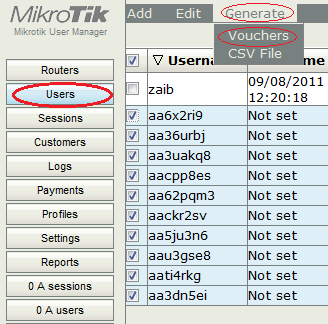 Post your complete Query at forum.mikrotik.com and you will get some good replies over there. 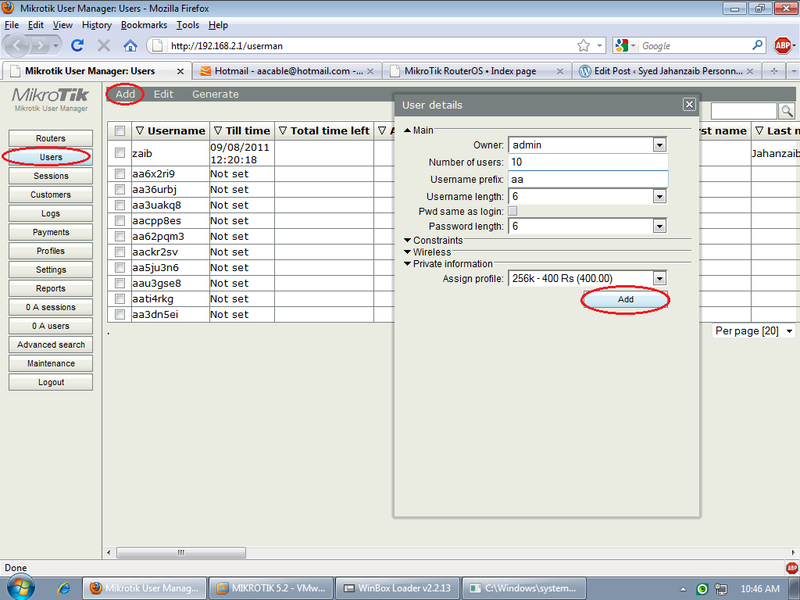 You can add multiple routers in user manager and bind them with appropriate subscribers. Just create subscribers and assign them appropriate permissions so that they can create/delete only there users, they will not interfere with other subscribers users. Just use single radius and assign proper permissions. I can’t comment on cracked versions. please kindly tellme how can i do this? plz kindly in code or details. plz and i also contacted many forums but they didn’t help me in that because they don’t want to share skills. How can someone setup usermanager and hotspot on the same machine, I have rb1200 with usermanager version 5.12 installed. I want to configure the settings, but when i try to use or configure. 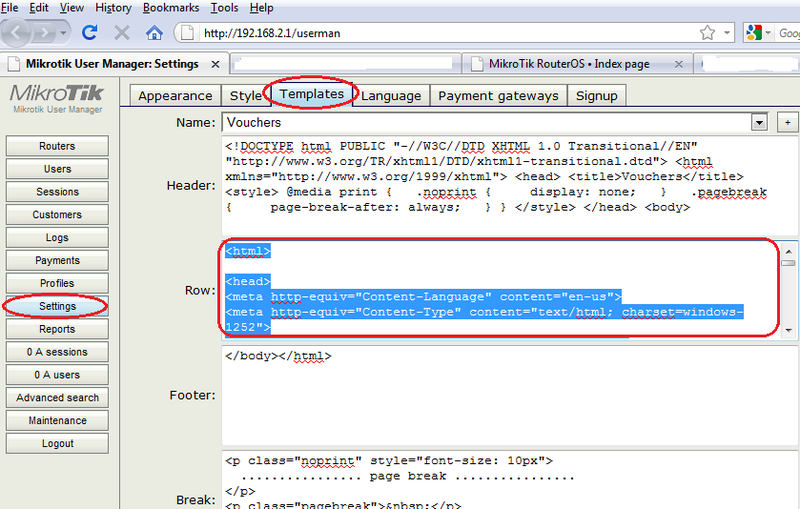 But it seesm not to work, what is the best configuration for it and what did i do wrong in this. 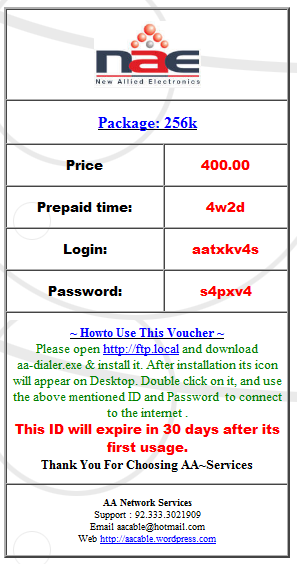 hi, i’m beginner and i have try to setup the template for my voucher, but that doesn’t work. Download it from mikrotik web site, then upload the User Manager package to the router’s file section, and reboot the router. how to change the background of RM prepaid card and to insert my company logo on it? i used your template and it works fine buy the problem is that i can not get my logo and background to display. i realize that you have used a web server for yours but i do not have a web server. how can i get mine to display is there any other place i can store them. becuse i tried to store them under the files on the mikrotik but didn’t work. any ideas? ?